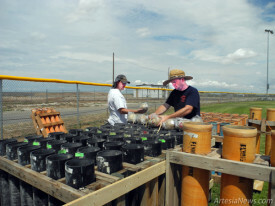 ARTESIA — Artesians can look forward to a full day of Fourth of July fun Saturday, courtesy of the Artesia Chamber of Commerce and various local businesses and organizations. The Fourth of July parade, sponsored by the BPO Does, will usher in the slate of community festivities. The parade is set to begin at 9 a.m. and run east along Main Street from Bulldog Bowl to Roselawn Avenue. This year’s theme is “Let Freedom Ring.” … For the rest of the story, subscribe in print and on the web.